On a Durham street of homes built in the 40s, one home stands out among the rest. 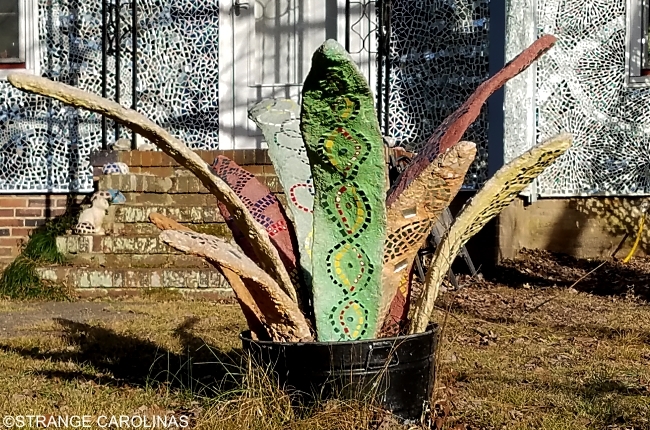 Gene Dillard's home is where he creates his art. 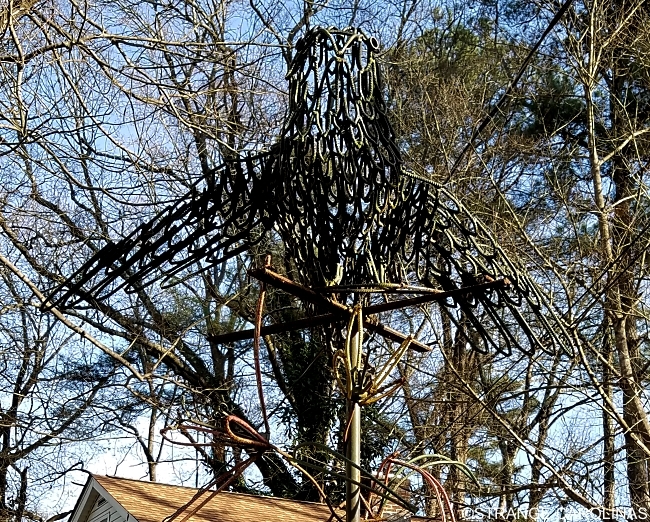 Actually, Gene Dillard's home IS his art. 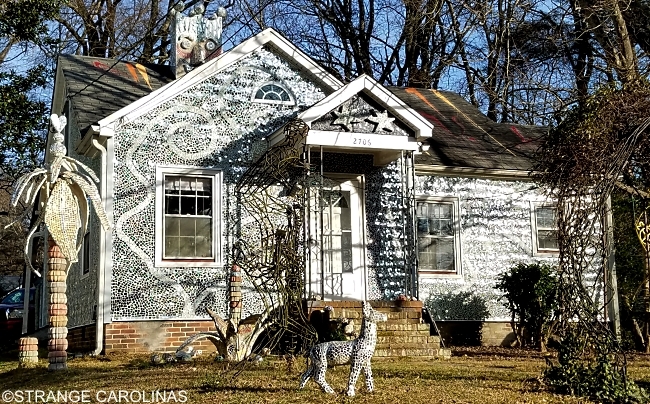 In addition to creating sculptures that dot his front yard, self-taught artist Dillard has created a mosaic on his house and garage, covering them in tiny pieces of mirror. Dillard was nice enough to tell us a little bit about his art and inspiration. 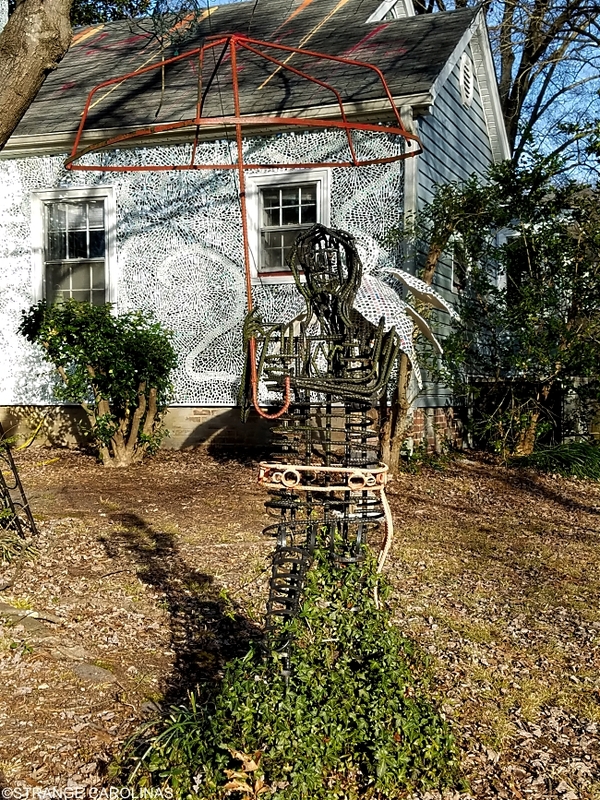 What inspired you to turn your home into a piece of art? I am inspired by a lot of creative people. My Mecca is Henry Warren's Shangri-La. I love going there and just hang out. Early on, a friend Karen Smith and I visited Charlie Yelton's bottle house. I love Minnie Evans drawings. All were just working people that felt moved to create. My neighbors are very supportive. April Mack, who lives next door to me, loves to come out and talk with me when I work late. People are always giving me their ideas for projects. 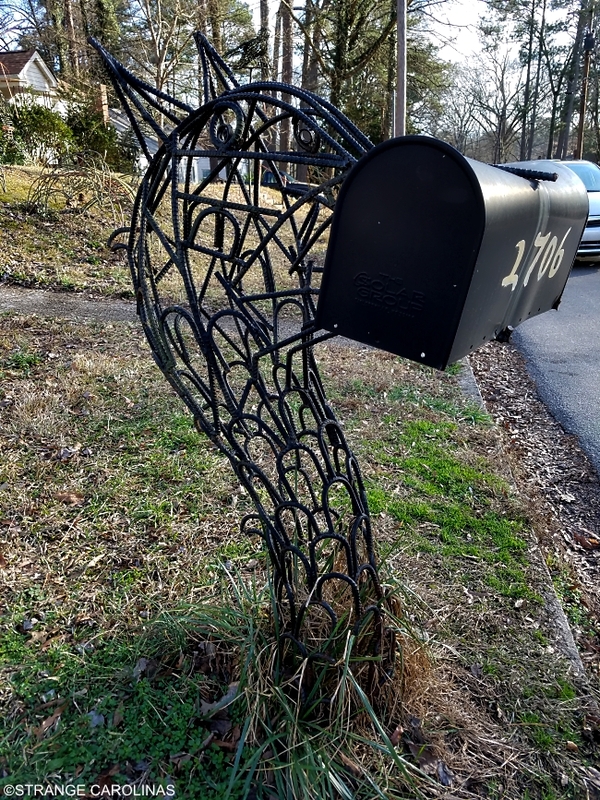 Probably without the kindness of my neighbors, I would not have done so much. I get a lot of support from my son Aiden and my daughter Mariah. 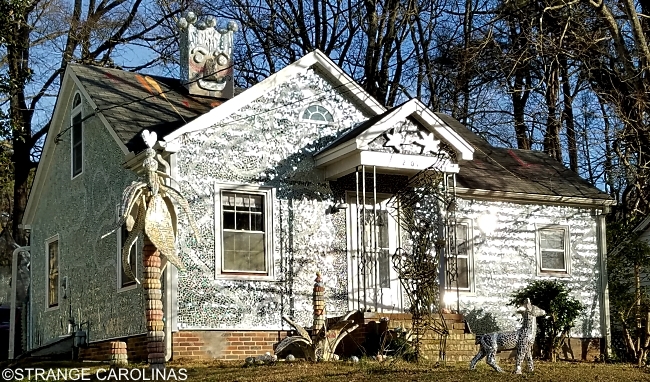 How many pieces of mirror have you used to cover your home and how long did it take you? I have no earthly idea how many mirror pieces I have used. The last wall I did took me 500 hours. I have done 3 walls on my house and three walls on my garage. During the winter I work indoors on projects. I have no other art on display. I am a repair person by trade, a blue collar worker who worked on equipment that other people have designed. I decided to design my own fantasyland. I enjoy that it is coming together. 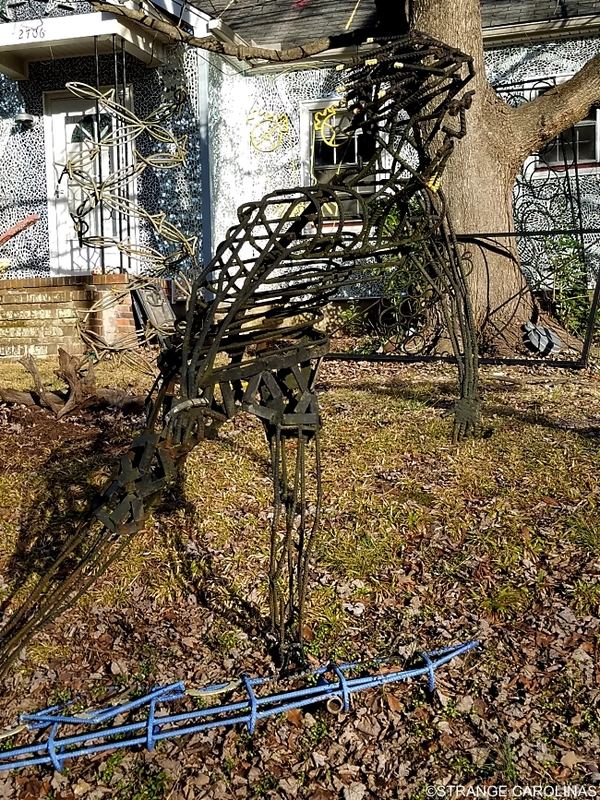 You can read more about Gene Dillard's art here.